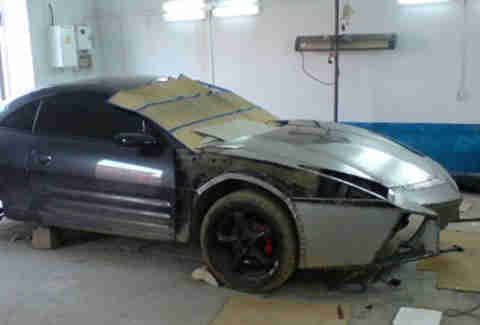 A Lamborghini made from a Mitsubishi -- it's a Mitsughini! 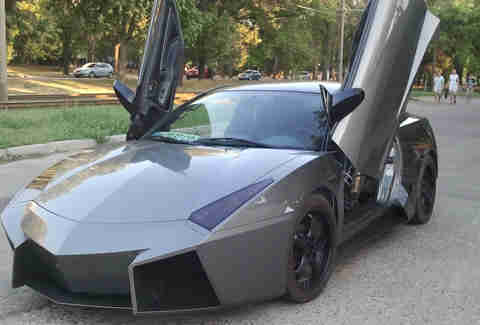 Photo: Lev Savitskiy For those of you who can't afford a $150 million F-22 Raptor stealth fighter, there's the Lamborghini Reventón. Patterned after the Raptor, it's a comparative steal at $1.4 million. 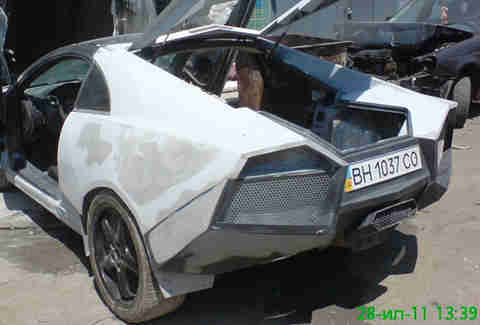 But if Lamborghini can rip off Lockheed Martin, some nut job from Ukraine ought to be able rip off Lamborghini, right? For the rest of you breadline loafers who can't afford the Lambo, there's this automotive equivalent of fan fiction. Built on a 2003 Eclipse, this babyghini took architect Alexander Stupkin 18 months to mod at a cost of about $1,600. There are only 21 Reventóns in existence, but the Mitsughini is a one of one. Early reconstruction of the Mitsughini. Recreation of the Reventón's signature back end. 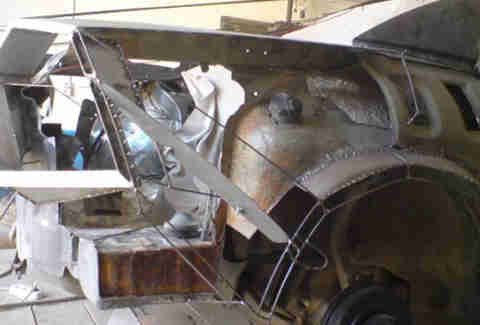 The primed Mitsughini, just prior to painting. Video of the Mitsughini's transformation.